A spring-training clubhouse is usually a pretty energetic place. There’s music on, sports on the TVs, and always a good bit of laughter and chatter. But there was a different feeling in Bradenton this year. Everyone noticed. 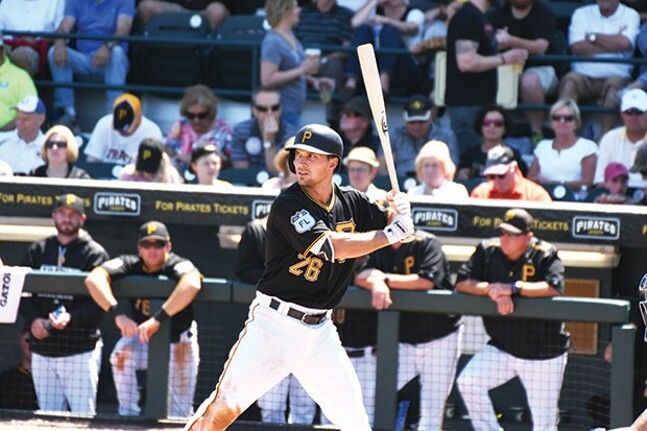 “I feel like this team’s vibe this year is a lot better than last year,” said Adam Frazier, the team’s newest multi-position threat, following in the footsteps of Sean Rodriquez and Josh Harrison. “Last year was my first taste of major-league spring training, but there’s a lot of camaraderie in this clubhouse. We keep the mood light and everyone comes in here every day with great energy. I think that energy comes from having so many young guys who got their feet wet last year and come into this season ready to take on a bigger role. That youth movement can be seen across the roster, but it’s most evident in the Pirates’ pitching game. Right-hander Gerrit Cole had a down year in 2016; he won just seven games and missed a lot of time due to injury. But on March 19 during a spring-training game against the Toronto Blue Jays, Cole looked unstoppable, allowing one run on five hits over five innings. At times his fastball looked unhittable. “He maintained velocity,” Pirates manager Clint Hurdle said of Cole’s fastball after that game. 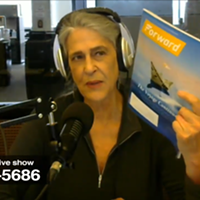 “I thought it was executed very well, located very well, there was good finish to it. All of his pitches, I thought he had good stuff. He threw the changeup when he wanted to, curveball played, threw a few sliders. It was an effective outing. Pitcher Ivan Nova, who was traded to the Pirates last season from the Yankees and re-signed in the off-season, is another veteran and will hold down the third rotation spot. But after that, the staff gets really young, really fast. Jameson Taillon, the No. 2 starter, and Chad Kuhl, who will likely hold the fourth spot, are joined by four pitchers battling for the last spot in the rotation: Tyler Glasnow, Drew Hutchison, Trevor Williams and Steven Brault. Combined, those six young pitchers have just 43 career starts. Most of these pitchers, however, had big moments in 2016, and none was bigger than Taillon’s major-league debut last June. He was drafted as the second overall pick in 2010, but his trek to the majors has been covered in landmines. In 2014, he underwent Tommy John surgery on his elbow and missed the entire year. He then suffered a sports hernia in 2015 and didn’t play a single game until last season. He went 5-4 in 18 games and struck out 85. This will be his first full season in the majors, and the one-two punch of Cole and Taillon could be one of the best in the game. The choice for fifth starter isn’t as clear. Hutchison, a former top prospect in the Toronto Blue Jays system, seemed to be the favorite entering spring, but he hasn’t been able to lock down the spot. He struggled in each of his last two starts before press time, on March 17 and March 23. Glasnow is one of the top prospects in the majors and he’s also struggled this spring. By contrast, Williams has pitched well recently, and Brault has had a pretty consistent spring. 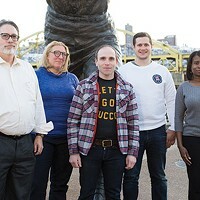 While the fifth rotation spot remains up for grabs simply because no one’s grabbed it, Pirates hitters on the cusp of making the opening-day roster have been in a dogfight. One reason is the World Baseball Classic: While the tournament gave some Pirates veterans a unique opportunity to play on an international stage (see story page 18), it also proved a big break for younger players who stayed behind. 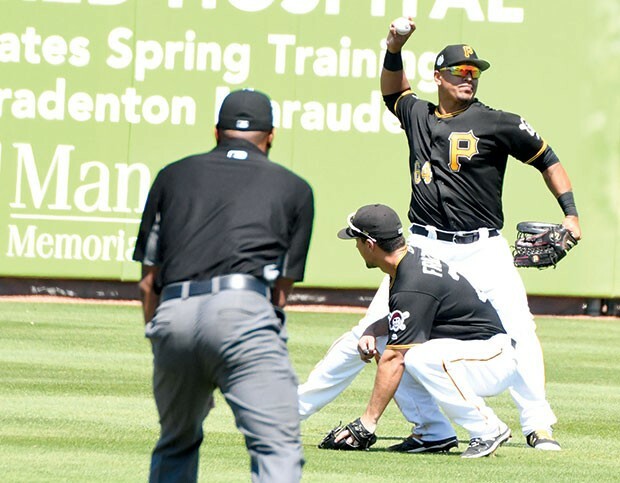 Stars like Andrew McCutchen and Starling Marte were replaced on the spring stat sheet by Frazier, Jose Osuna, Phill Gosselin, Austin Meadows and Gift Ngoepe. Osuna has been one of the biggest surprises, hitting .417 with five homers and 15 RBI. Osuna said that he’s gained a lot of confidence at the plate after spending half of last season in Double-A in Altoona, and half with the Bucs’ Triple-A affiliate in Indianapolis. He also played winter ball in the offseason. While he’s a first baseman by trade, the Pirates have moved Osuna around this spring to give him positional flexibility should he make the roster. He’s still struggling defensively, but if years of Pedro Alvarez taught us nothing else, it’s that if you can hit, they’ll find a place for you to play. “Playing this winter really helped me, I think,” Osuna said. “I’m really trying to be more selective at the plate; I try not to do too much and just wait for the right pitch. Beyond the battle for the remaining bench spots, the rest of the Pirates lineup seems pretty solid. The big offseason news, of course, were the trade rumors swirling around McCutchen. 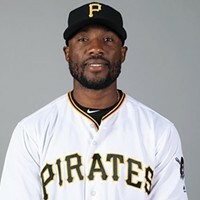 The team decided to keep him but made a big change when Marte supplanted McCutchen in center field. Polanco shifted to left and McCutchen to right. Polanco’s big effort in the WBC has the Pirates wondering whether this is the year he completely breaks out offensively. “We mentioned the fact that everybody might want to find out what kind of bat he was using or shake his hand or rub his arm because he was hot,” Hurdle said March 21. The infield will feature Jordy Mercer at short and Josh Harrison at second, but there will be some changes on the corners. Josh Bell is likely to assume the regular first-base job after having shoulder surgery in the offseason; Hurdle said Bell should be ready opening day. David Freese will start at third after starter Jung Ho Kang was arrested and convicted on his third DUI offense in South Korea. Kang has been denied a visa to enter the U.S., and also remains the subject of an open sexual-assault investigation in Chicago. 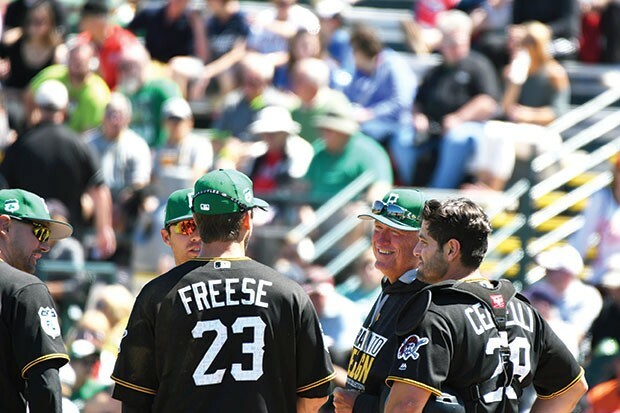 Freese, a former World Series MVP, played well for the Pirates last year and has had a strong spring, hitting .353. Francisco Cervelli will hold his place behind the plate after struggling offensively in 2016. After that, the Pirates will be counting on young hitters to perform when called off the bench. Guys like Frazier, Osuna and Meadows will be as crucial to the team’s success as are the young pitchers. 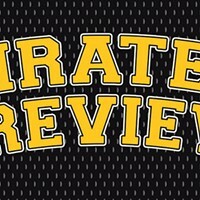 Brault says the team’s youth shouldn’t be looked at as a negative.